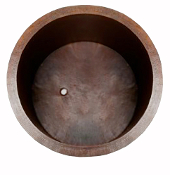 Custom Copper Bath Tubs: Drop In Or Undermount Installation. Everything We Build Is Built To The Customer's Specifications. 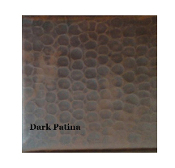 You Choose The Size (Odd Sizes Welcomed), Mix & Match 16 Patina Finishes And Choose From Over 200 Decorative Designs. 12-14-16 Gauge Copper Bath Tubs. What Can We Build For You?